Learn how Anthem delivers a personal story within a shared, dynamic world. At the heart of Anthem™ is a unique concept called Our World, My Story. 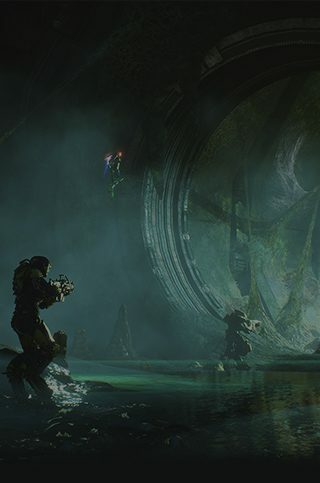 It forms the foundation for how Anthem combines a shared world and a personal single-player story into one seamless experience. * CONDITIONS AND RESTRICTIONS APPLY. SEE https://www.ea.com/games/anthem/pre-order-disclaimer FOR DETAILS. DEMO DETAILS AVAILABLE AT https://ea.com/games/anthem/news/announce-date-of-pre-launch-demo. PERSISTENT INTERNET CONNECTION REQUIRED TO PLAY.